PLUS taxes of $115.00 p/p - Subject to change until full payment. Tour Price is valid for Travel, 2017. Please note that itinerary is subject to change without notice. Norfolk Orientation Tour - Kingston, Mt Pitt, Queen Victoria Lookout; Sunset Cliff Top Fish Fry; Cemetery Bay & Point Hunter (Lone Pine); Emily Bay Pancake Breakfast; Hilli Goat Farm; Captain Cook Lookout; “Glimpse of Norfolk” Tour; Bureau of Meteorology; Lou’s Farm Tour; Traditional Island Dinner; Mini Moke Car Rally; Pitcairn Settlers Village; Queen Victoria Gardens; Fletcher’s Mutiny Cyclorama & much more. We meet at Brisbane International Airport for our Air New Zealand ight to Norfolk, with lunch served en-route. On arrival, we check-in to our accommodation at the aptly named Paradise Hotel & Resort where we have time to refresh before heading out for our first look at this island paradise. This afternoon our Norfolk Orientation Tour takes in the prime spots on the island, like historic Kingston, the island’s highest point Mt Pitt and Queen Victoria scenic lookout, all of which we’ll be able to explore at length over the coming days. As the sun sets, we’ll soak up the magni cent sea views and relish fresh local seafood as part of Norfolk’s traditional Cliff Top Fish Fry dinner. This will be a perfect time to get to know our fellow photographic travellers! After dark, we’ll head back to the hotel for a full tour briefing and a first talk from Steve, where we will have the chance to ask all those burning questions about photography. The best light is hands down, early morning - so it’s an early start this morning to capture the sunrise at Cemetery Bay and Point Hunter (Lone Pine). This location is full of inspiring photographic opportunities - beaches, forest, rocky shoreline and rolling elds scattered with cattle – a great introduction to the natural beauty of Norfolk. By 6.30am we will have earned our special ‘Pancake Breakfast’, to be served at Emily Bay. For the remainder of the morning, we will get to explore the historic Kingston area with camera in hand. 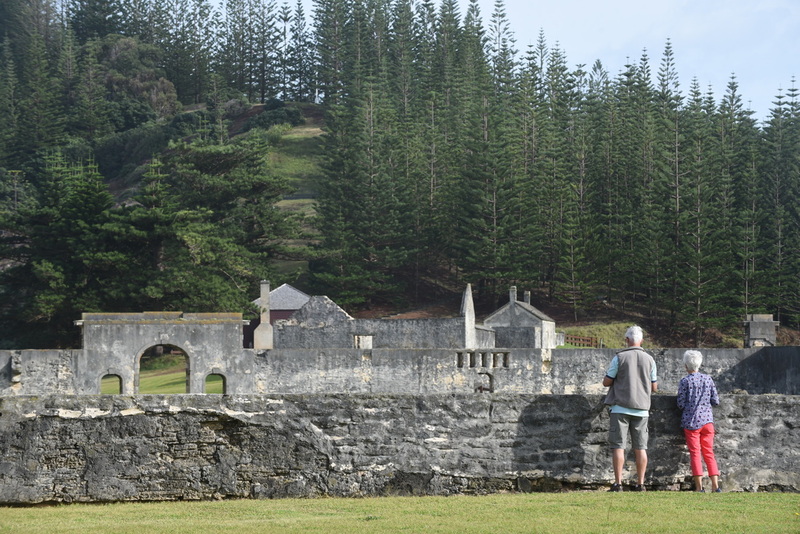 This 250 hectare site features evidence of buildings from the Colonial Convict Settlement 1788-1814 and ruins from the Penal Convict Settlement 1824-1855. There are also archaeological remains from the pre-European Polynesian Settlement before 1788. From ramshackle ruins to wild waves, there are so many picturesque opportunities on Norfolk. Steve will be on hand to lend his expertise while we capture these sights through our lens. On return to the accommodation it’s lunch of our choosing. 2.00pm: We visit the gorgeous Hilli Goat Farm, where we will be photographically challenged by shooting (so to speak!) the cheeky resident goats. We will witness the process of milking and cheese making, then be rewarded with a walk through the edible garden and a mouth-watering banquet of local produce, including delicious goat’s cheese. Steve will demonstrate the finer points of food photography then we will get a chance to enhance our photographic portfolio with some fabulous food shots. 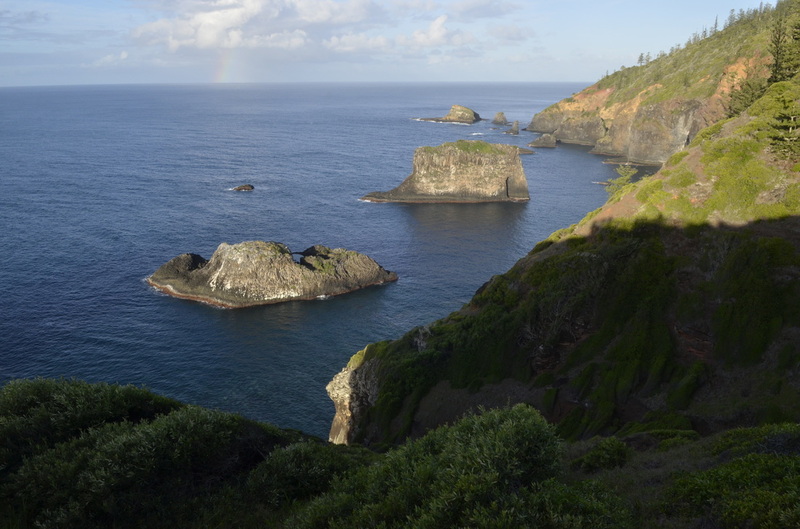 At sunset, arguably the photographer’s second best time of day, we will nd ourselves at the cliff top Captain Cook lookout, where the stunning sea views again give us more time to capture the island’s beauty. Tonight it’s a BBQ dinner back at the hotel, followed by Steve’s photography chat, which will include some night shooting advice. 9.00am: The morning’s tour is entitled a “Glimpse of Norfolk” and gives us an insight into island life, local industry and some of the interesting characters who reside here. With Steve’s past newspaper experience, he’ll share his tips on photographing people and everyday life. We visit the Ball Bay Fuel - the site where fuel is unloaded; the local radio station and drive by the power station, airport, and transfer waste station for a behind the scenes look at island living. Next stop is a look inside the Bureau of Meteorology, where we will see a weather balloon release. Morning tea will be served at Bedrock Café, boasting some of the best island views. 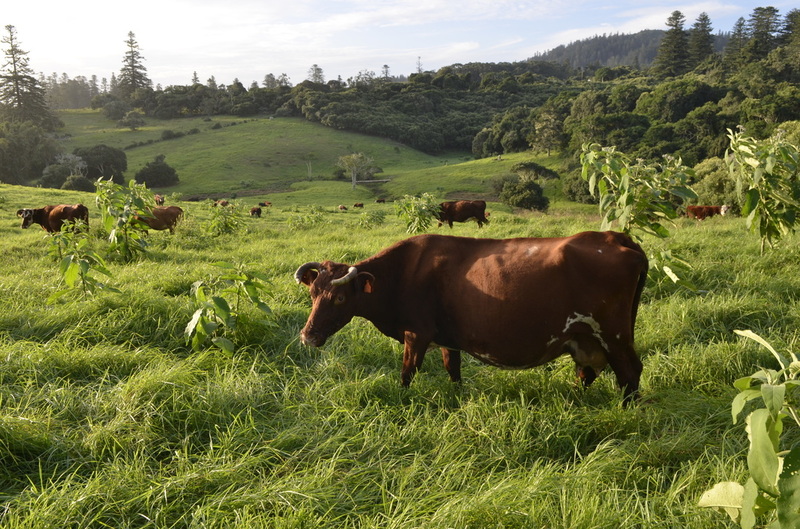 Then, we’ll pop next door for a tour of Lou’s Farm, where 80 per cent of the island’s produce is grown and visit its resident pigs - another opportunity to shoot animals! On return to the hotel by lunchtime, we’ll have the afternoon free to explore at leisure. Tonight, it’s a traditional island dinner at the historic No 9 Quality Row capped off with hands-on lessons in night photography around the Kingston area. We can keep our Mini Mokes for the afternoon to explore the island at our own pace. Our farewell dinner at the Paradise Hotel will include some of our fabulous photos in an old fashioned “show and tell” style slide night. Early risers can shoot the sunrise - which we can pursue in our Mini Moke with cars to be returned by 9am - or we can opt to sleep in on our final day. Breakfast is at the hotel. 9.00am: We tour the Pitcairn Settlers Village, boasting the oldest blacksmith in the Paci c; and the Queen Victoria Gardens. The morning ends at Fletcher’s Mutiny Cyclorama, a 360 degree panoramic painting, where we will learn how the world’s most famous mutiny created the Pitcairn and Norfolk Island communities. All three sites will help to answer our questions on the Pitcairn history of Norfolk. Morning tea is served at Cyclorama. We will then return to the hotel to prepare for check out. $500.00 deposit required with completed booking form to confirm place on tour.